On the edge of the Abel Tasman National Park in Nelson is the coastal settlement known as Mārahau. 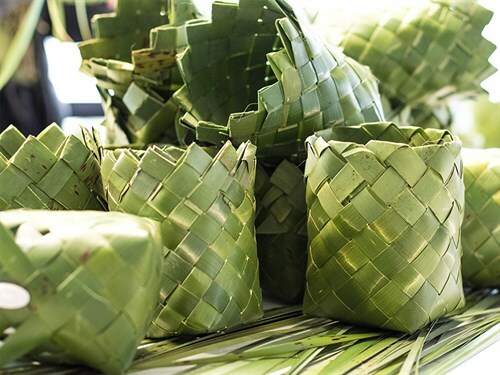 Mārahau, and the rest of the top of the South Island, known as Te Tau Ihu o te Ika a Māui – is where the owners of indigenous food and drinks company Kono, call home. Kono’s products include Tohu and Aronui wines, Kono mussels, Annies fruit bars and Tutū cider. Rachel Taulelei, Chief Executive, Kono says "We come together as whānau, to camp and gather on our customary land every summer. Each time, we are reminded of the values that shape and guide what we do in modern life. The values of manaakitanga – the quality of care and generosity towards people; and kaitiakitanga; the importance of balance and the need to ensure that this balance between people and the whenua, our land and sea, is maintained. Te Tau Ihu is our tūrangawaewae, the place where we make sense of the world before we push out into new frontiers." "For hundreds of years, our ancestors have lived here, cultivating gardens and fishing the warm, safe bay for rich, fat cockles, pipi, snapper, mussels, kahawai and crab. We have always been gardeners, fishermen, orchardists, artisans and providores," Rachel says. "Through the passage of time, the world has challenged us to innovate. To become scientists, researchers, wine makers, branders, marketers, viticulturists, and leaders. We have taken up that challenge without hesitation and today craft award-winning and world-renowned products." Guided by Te Pae Tawhiti, a 500 year plan for success, Kono is on a journey to determine what being a good kaitiaki really means. "Te Pae Tawhiti is our compass that ensures we do what is right for people and place, and that manifests itself through ambitious intergenerational outcomes, core to which is our environment. To prosper, our environment must be well and healthy, full of life and vitality. This is not only because our moana and whenua deserve to be healthy in their own right, but also because the wellness of our people is intrinsically linked to the wellbeing of our environment. Love for the land and respect for the sea must be ever present," Rachel says. "Kaitiakitanga is the value that directs our business and our relationship with our environment. It’s our hope that customers will come to understand our guiding principles and know that products crafted by Kono have at their core a deep and inextricable connection to place." Kono is an associated business of Wakatū Incorporation. Wakatū has approximately 4,000 shareholders who descend from the original Māori land owners of the Nelson, Tasman and Golden Bay Regions. As well as Kono, Wakatū has two other divisions, Manaaki (people and culture) and Whenua (land and water space).